Happy days people! 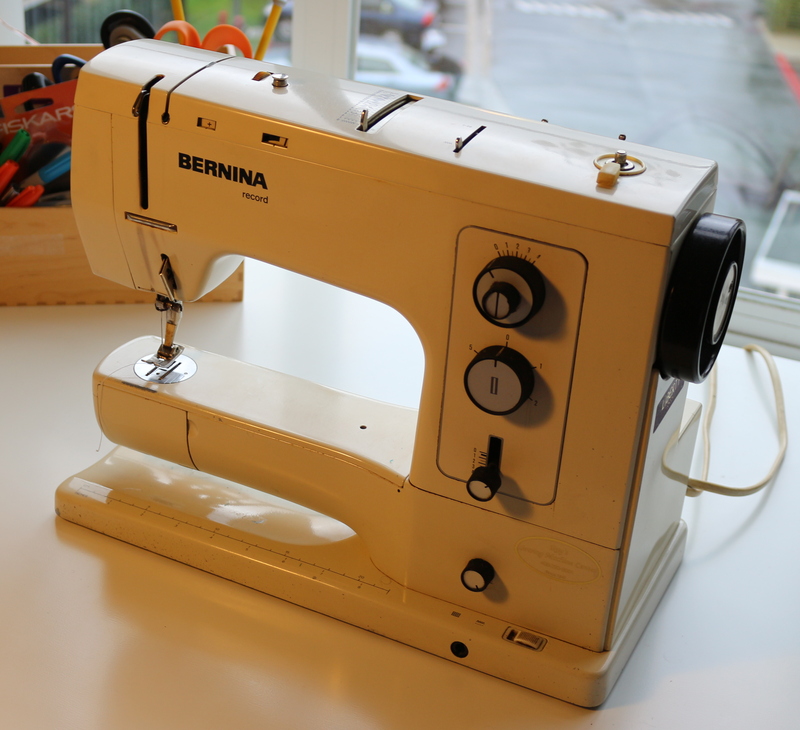 I picked up my beloved Bernina from Ray’s Sewing Machine Center yesterday, and she is running smoothly once again! I was concerned that it was curtains for Bernie after I took it to one sewing machine repair place and they suggested that it was too expensive to fix, and that I should just trade it in for spares and use the trade in to buy a shiny new machine… from them. I think not Eddie. It turns out that sometimes places are entirely deserving of their scathing Yelp reviews for service and repair, and that you should avoid them. I shall in future. The owner at Ray’s knew my machine before I even got it out of the bag, was trained by Bernina in Switzerland, and used to tour the Bernina 830 around the US craft fairs back in the 70s. When he had hair. Oh yes, Bernie was in very good hands, and now she is back! A rainy Sunday stopped hiking this weekend (Californians don’t hike in the rain), so I decided to spend the day with Bernie :), and as shameful as this is to confess, this little project was started in April 2013. It was packed up along with all of our possessions and moved 6,000 miles, and then still sat unfinished! Thankfully it hasn’t quite hit the two year mark, but I thought it was appropriate that now I have her back, my first project should be a cover to keep her dust free! 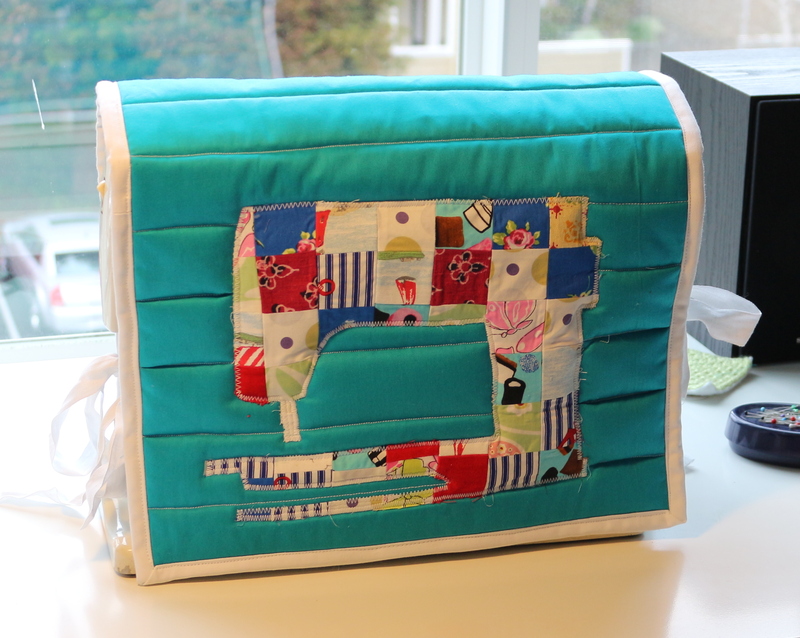 I used this tutorial, and had formed the original patchwork and cut out the sewing machine shape (adjusted to make it more Bernie-shaped), way back when I first started it, it was only awaiting me to make it into a cover – ideal for a rainy Sunday project! The pieces are quilted together with simple horizontal lines 2 inches apart. I drew on chalk lines using my clear ruler and a Clover Chaco Liner to guide my stitching to try to make them as straight as possible, but I think my wadding was a little thick really! Anyway, I am otherwise happy with my first foray into quilting, and it looks nice and bright and colourful, even on this very grey day! Anyone else got some shameful long-unfinished projects lurking in a box somewhere? Ha! I hang my “shameful” projects right in front of my nose and still can’t seem to get them finished!! 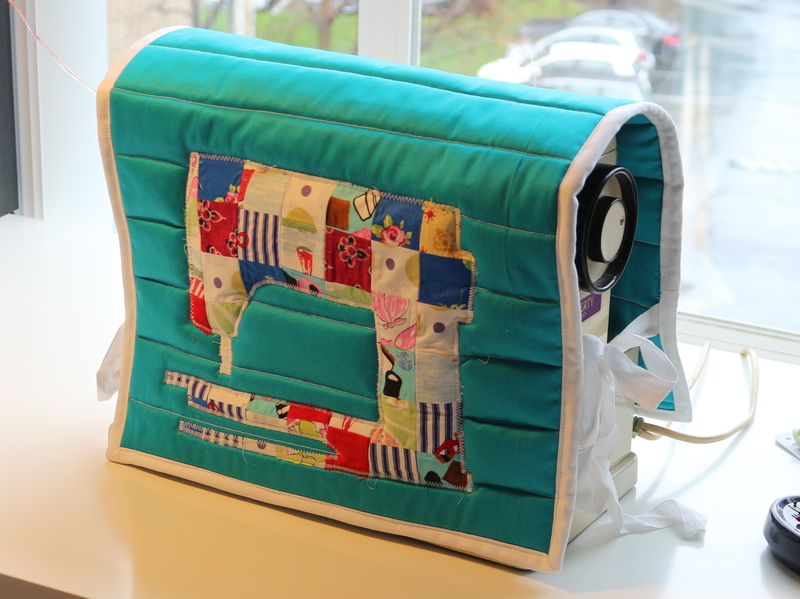 Your sewing machine cover is very cute! I have a box on my shelves labelled “The Box of Shame”. It still doesn’t really shame me into completing them though! ha ha, last summer I finished a dress I reckon I started 20 years ago. It only needed hemming. I dread to think how many times I’ve moved with it.